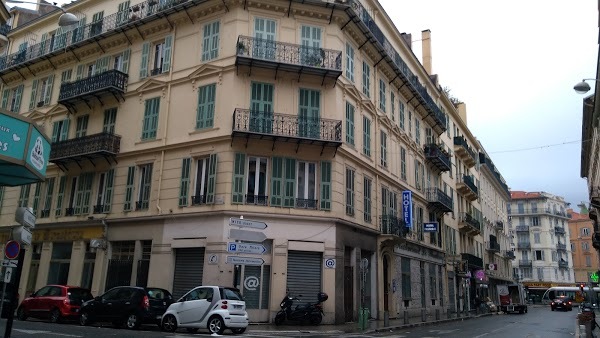 Situated in the centre of Nice, just 350 yards from Nice Ville Train Station, this hostel offers a youthful atmosphere with air-conditioned accommodation. Guests can relax on the terrace and use the free Wi-Fi provided throughout. Pastoral Hostel provides en suite rooms with showers or accommodation in dormitories with shared bathroom facilities. All shared dormitories provide a safety deposit box and are equipped with a microwave and refrigerator. All guests have access to shared kitchen. There is a tour desk on site to provide advice on visiting the area and staff can organize tours and car rental. Pastoral hostel does not have a curfew and luggage storage is available. It is a 15-minute walk from the beach and Nice Old Town.